When your kitten reaches 6 months (or in some regions 8 weeks), you should decide whether you want to neuter (in case of male) or spay (in case of female) your cat. The benefits of neutering include less territorial aggression, sexual aggression, less urinal spraying, and health benefits such as a lower chance of prostatic disease and hernias, and of course no chance on testicular cancer. The benefits of spaying a cat include an elimination of the heat cycle (which is the cause for mood swings) and roaming the streets for males, or worse, setting up shop in your garden, attracting males from around the neighborhood. It also has health benefits, such as a lower chance on breast cancer and other serious infections. The surgery, some anesthetics, labor hours. In other words, a complete neuter or spay operation. Geographic and veterinary differences can affect the cost of neutering and spaying. Some vets will include all kinds of other treatments (flees, shots, worms, etc.) which can increase the cost quite a bit. Be sure to ask for an accurate price quote before you submit your cat to surgery. When your cat is in heat or pregnant, you can still spay it, however it will be more expensive as the surgery takes longer. Account for the price to double. You can do it after littering as well, but remember that a cat can soon become pregnant again, after 10 days after giving birth! When a cat is overweight or in heat, the cost can increase by $30. There may be Model Programs available for low-income families (for example, the Anderson Humane Society in South Carolina can neuter a cat for as low as $25). That way, when neutering and spaying is more afordable for everyone, the shelter intakes (and euthaniasias) will reduce in the long run. 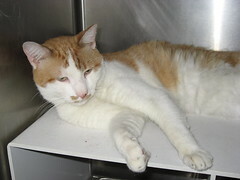 Ask catowners in the neighborhood for their experiences with local veterinarians and surgeries.